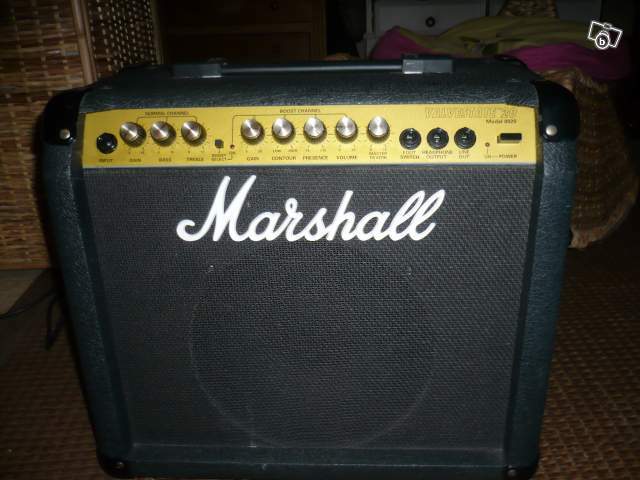 I'm selling a Marshall Valvestate 8020 20w practice amp. The amp is quite old but has hardly been used. It's in good condition and plays well. It had the switches/pots cleaned last year but one of them (the gain switch) is crackling again. It's a simple enough fix and I'll throw in some switch cleaner. It's got two channels, and is footswitch enabled (footswitch not included). The gain channel is really meaty and sounds great. It's pretty bloody loud for 20w. It's a great amp for playing in the house. Looking for 50, or nearest offer. PM me if you're interested. 30 quid as low as i'll go. 30 bucks for a marshall amp? Come on... PM me.